Pretzel breaded pork cutlet, seven sausage gravy, two eggs any style, home fries, and hash browns. Your choice of house-made sausage, two eggs, hash browns, and a fresh baked pretzel. 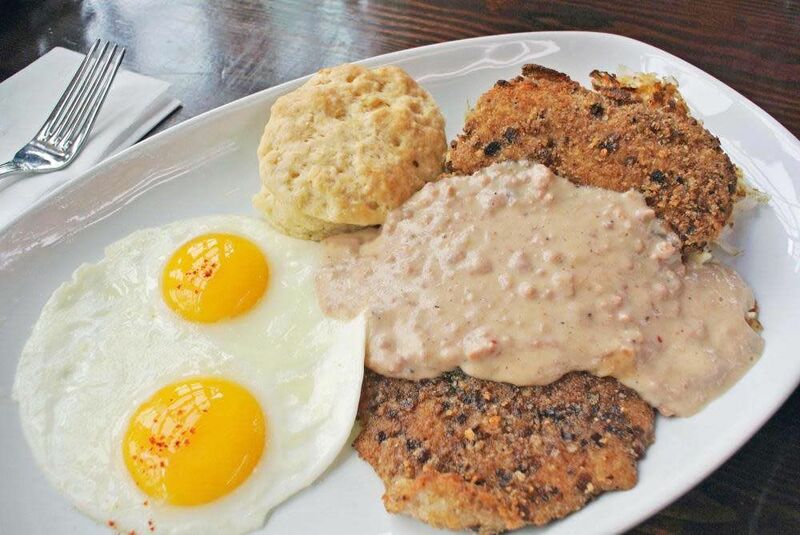 House made buttermilk biscuits smothered with seven sausage gravy and two fried eggs. Buttermilk biscuit, poached eggs, hollandaise sauce, and hash browns. Choice of cheddarwurst or canadian bacon. Two pancakes served with whipped vanilla butter and real maple syrup. 100% house ground chuck served medium well / arugula / royale dressing / tillamook cheddar cheese / onion / tomato / dill pickle / house made brioche bun. Ketel One Vodka, The Real Dill bloody mary mix (CO), house cured meat and pickles.